It's 3.14, and you know what that means! 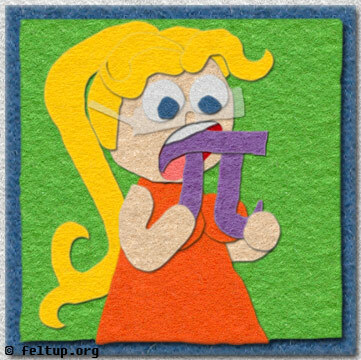 It's approximately Pi day! A day full of pi and pie related puns. I'm quite fond of pi myself, my final college GPA was 3.14, which isn't that great, but it's still something nerdy to brag about. Also, do not try to eat pi all in one bite. It may seem like a small number, but as soon as you put it in your mouth there doesn't seem to be any end to it and it's endless chewing for you.